Academics are often accused of staying in their ivory towers. People assume that intellectuals are so absorbed with their thoughts and theories that they are isolated from the real world. Even more, people assume that because intellectuals are often isolated from the real world, their thoughts and ideas don’t really translate to the real world. This makes it easier to dismiss their ideas and suggestions. But we should not be so dismissive. This picture of intellectuals is a crass caricature, and I think you’ll find that many of the most powerful minds in history have not been separated from the real world. If you spend much time reading biographies of past intellectual giants, then you will find that they were deeply affected by events around them. They were not cut off from the world, but often lived in extraordinary times. In 20th century theology, this is true of Karl Barth and Dietrich Bonhoeffer, both of whom had to contend with evildoing and oppression of the Nazis. I was reminded of this recently while readying George M. Marsden’s excellent biography of Edwards, Jonathan Edwards: A Life. Edwards was frighteningly intelligent; he was one of the deepest and most innovative American philosophers and theologians ever. He was accused of being too disconnected, too intellectual, particularly during his ministry in Stockbridge, MA. But as intelligent as he was, and as impractical as he could seem at times, Edwards’ life experiences undoubtedly had an effect on him. If you are familiar with Edwards’ theology, you might dislike his somewhat pessimistic view of humanity. But in addition to his reflections on what the Scriptures say about human fallenness, Edwards also experienced a lot of evil and wickedness in his time. I was in fact surprised to learn about the level of dysfunction among some of his relatives. Let me give you three examples. If his grandmother’s behavior wasn’t bad enough for Puritan America, his grandmother’s sister, Jonathan’s great-aunt, was even worse. While his grandmother only threatened violence, his great-aunt carried out her violent threats. She murdered one of her own children. Not only did his grandmother and great-aunt have serious problems, their brother, Jonathan’s great-uncle, also had mental problems. He axed another one of his sisters to death. 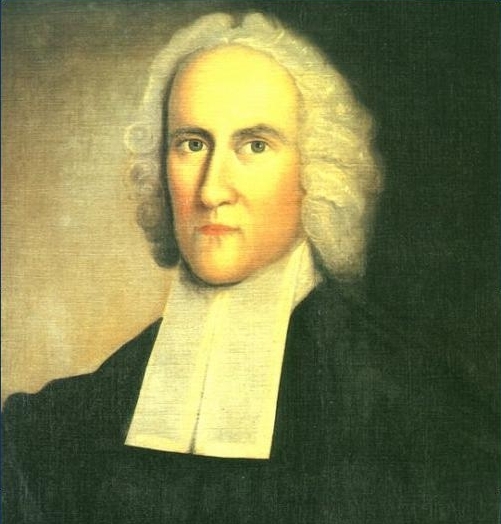 “Jonathan Edwards is sometimes criticized for having too dim a view of human nature, but it may be helpful to be reminded that his grandmother was an incorrigible profligate, his great-aunt committed infanticide, and his great-uncle was an ax-murderer.” George M. Marsden. Jonathan Edwards: A Life (Kindle Locations 390-391). Kindle Edition. Edwards, as a theologian in the Reformed tradition, has a high view of God’s sovereignty. But this wasn’t held cheaply, nor was it ever put to the test. For Edwards witnessed a lot of suffering in his life, and he lived in a time of great uncertainty. He lost a cherished daughter to illness. But the uncertainty didn’t only involve falling ill, but also to societal dangers. After all, the New England in which Edwards lived was tense, with the rivalries between the French, English, and Native Americans strong. I was struck by one incident that shaped Jonathan’s early life. Jonathan Edwards heard this story from the time he was little. Undoubtedly, it would have been formative in his thoughts and perceptions of humankind. Later in life, when he lived in Stockbridge, MA and worked in a mission to the Native Americans, there was a prolonged period of fear that the Native Americans might raid the town. And they heard plenty of horror stories from raids on nearby villages and farms to know how deadly these raids could be. So Edwards detailed reflection on God’s sovereignty and suffering wasn’t conducted in a vacuum. He wasn’t isolated from the world. What he experienced in the world — whether the sinfulness of humans or the suffering in the world — had to impact his thinking. So don’t dismiss the intellectuals and the thinkers. For many, their ideas and theories do not arise from being disconnected with the world. Rather, they often arise from a deep engagement with reality. Yes, they might read and ponder more than the average person, and that might pull them from all the bustle that others engage with. But couldn’t this be a sign, not of a disengagement with the “real world,” but a deeper-than-usual engagement with the world? So take seriously the ideas of the intellectuals, even if they seem too abstract. Chances are these reflections have been generated by deep thought on real-life experiences, experiences that you, too, might have, but perhaps haven’t thought about it much.